When it comes to flooring trends there are dozens of new colours and designs that appear in the market, and it’s always wise to go with a timeless colour and choice of wood flooring. 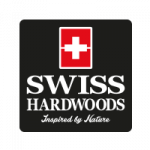 Swiss Hardwoods- Aqua-Single Strip European Oak Floor is one among those choices. Popular among designers who want to create a neutral colour pallet on the floors and walls so they could contrast it with the more vibrant and textured furniture upholstery or colourful artifacts. This engineered floor with its uniclic interlocking mechanism is quick and easy to install, to add to this it’s a very durable semi solid floor that is oiled with an organic Rubio Monocoat Oil that protects its surface from any external irritants. Never needs sanding and comes with a lifetime guarantee.